A Court of Appeal in Abuja has on Tuesday, November 14, reserved its judgment on an appeal filed by the Federal Government. The Federal Government has in the appeal challenged the dismissal of the 18-count criminal charges it preferred against the Senate President, Dr Bukola Saraki, before the Code of Conduct Tribunal (CCT). A three-man panel of Justices of the appellate court, led by Justice Tinuade Akomolafe-Wilson, adjourned to decide whether the case against Saraki should be re-opened or not. 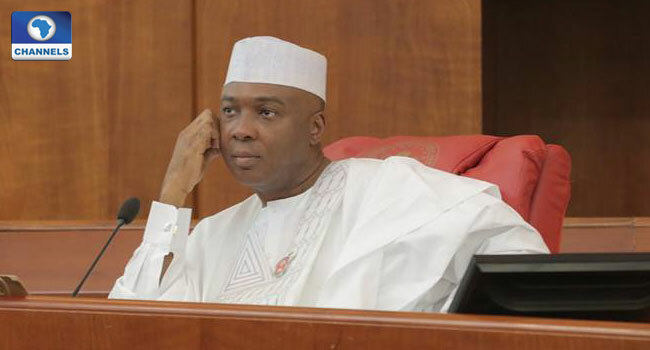 The Federal Government had in its 11-grounds of appeal, prayed the appellate court to set-aside the CCT verdict that acquitted Saraki of all the charges it brought against him. It wants the court to direct Saraki to enter his defence to the 18-count charge. However, in its notice of Appeal, the Federal government faulted all the grounds on which the CCT predicated Saraki’s acquittal. According to FG, “The judgment of the lower tribunal is unwarranted, unreasonable and against the weight of evidence”. It maintained that the CCT erred in law by upholding Saraki’s no-case submission “when the onus of proof” was on the Senate President to show that there was no infraction in the Code of Conduct Forms he tendered at various times, before the Code of Conduct Bureau. Consequently, the Federal Government through its lawyer, Mr Rotimi Jacobs asked the Court of Appeal for, “An order setting aside the ruling of the Code of Conduct Tribunal delivered on June 14, 2017 upholding the no-case submission raised by Senator Saraki at the close of the prosecution’s case. It will be recalled that Justice Danladi Umar-led two-man CCT panel had on June 14, terminated further hearing on charges against Saraki on the premise that FG failed to by way of credible evidence, to substantiate any of its allegations against the Senate president.